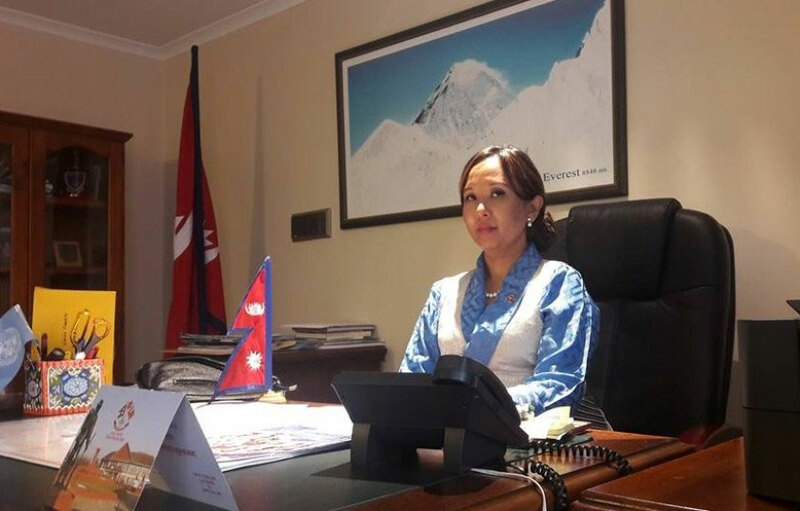 Major opposition Nepali Congress has urged the government to launch probe into alleged involvement of Nepalese Ambassador to Australia Lucky Sherpa in human trafficking. 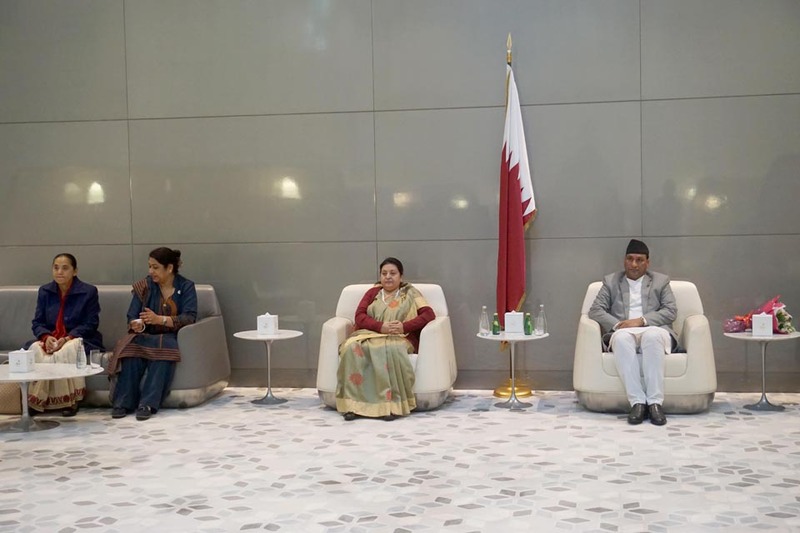 President Bidya Devi Bhandari, who is on a visit to Poland, held meeting with the President of the Republic of Poland Andrzej Duda in Katowice, on Wednesday. 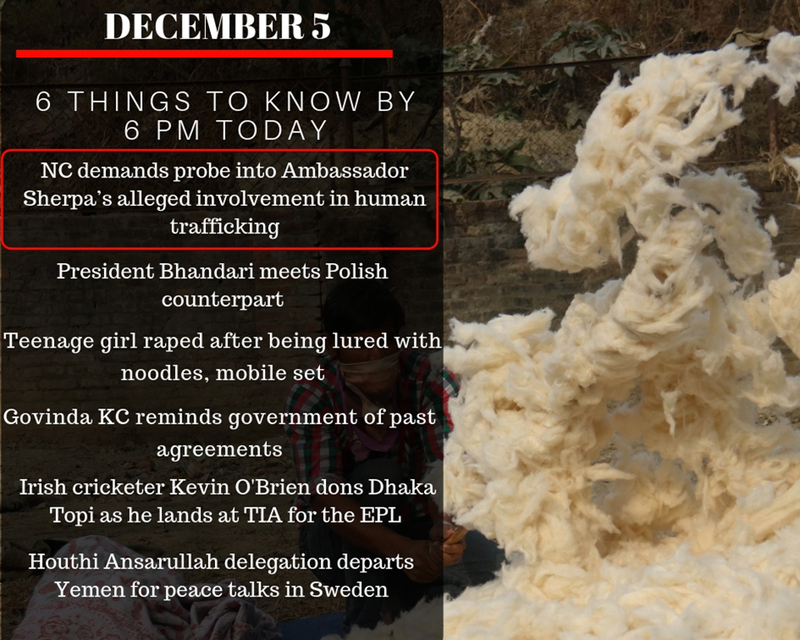 A man has allegedly raped a teenage girl after luring her with a mobile set and noodles at Dharalbada in Chandannath Municipality-8 in the district. 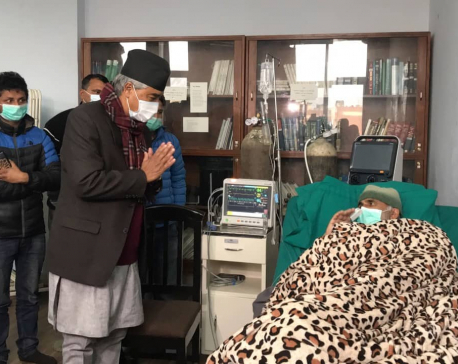 The kin of the victim caught Laxmiram Rokaya red-handed while he was trying to make his advances toward 13-year-old innocent girl in his own house. 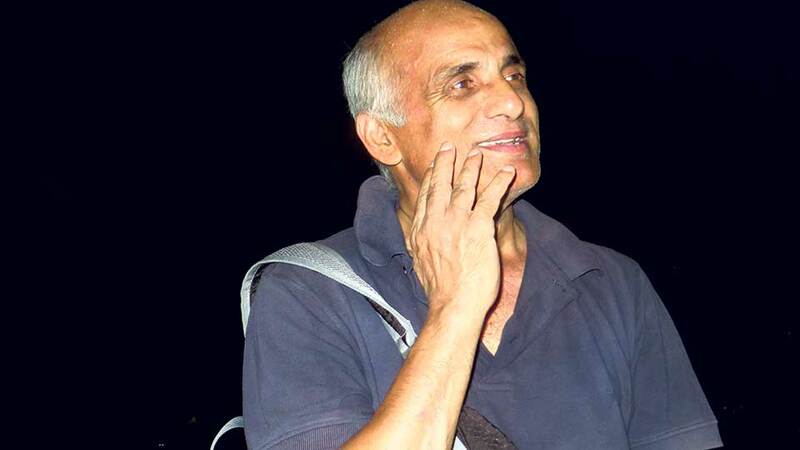 Senior Orthopedic Surgeon Dr Govinda KC on Wednesday urged the government to address his demands at the earliest. 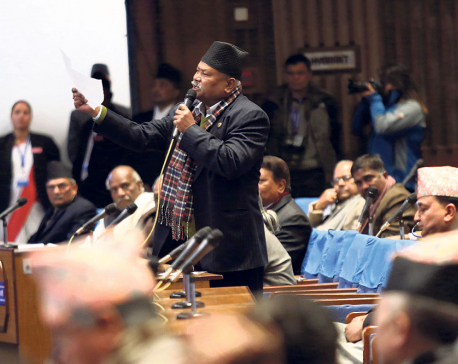 Issuing a press release, KC asked the government to table the Medical Education Bill in the parliament to bring reforms in the medical education. 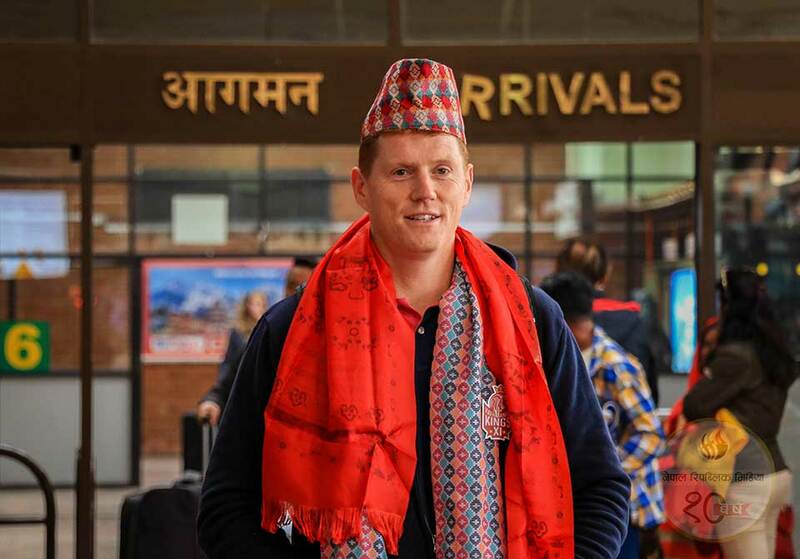 Irish cricketer Kevin O'Brien arrived in Nepal wearing a Dhaka Topi. 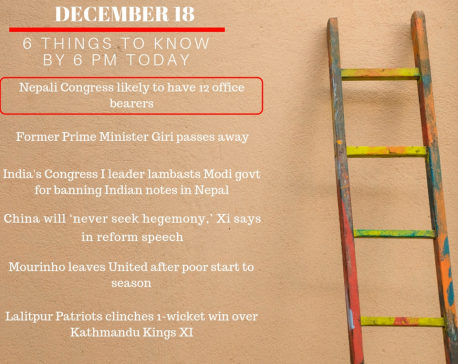 O'Brien will play for Kathmandu Kings XI (KKXI) in the second season of Everest Premier League (EPL). 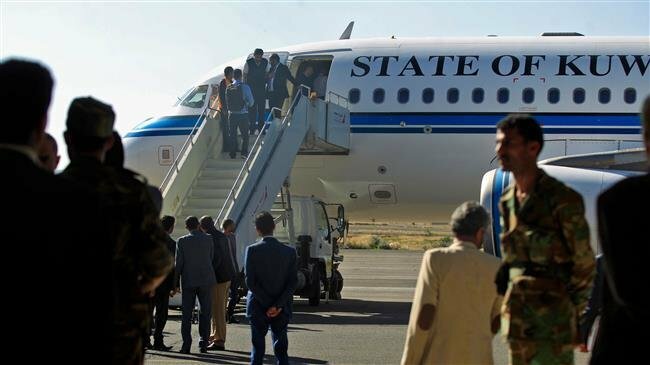 Delegates from the Houthi Ansarullah movement, escorted by United Nations Envoy to Yemen Martin Griffiths, have flown from the Yemeni capital city of Sana’a to Sweden to attend UN-sponsored peace negotiations with representatives from the administration of former Yemeni president Abd Rabbuh Mansur Hadi.